The daughter of Legendary Santa Claus Jim Yellig, Pat Koch, has greatly contributed to the vocation of Santa Claus with her many endeavors. Every year thousands of letters for Santa Claus pour into a small town in the State of Indiana, America’s heartland, which is no surprise since the town is called Santa Claus. Children of all ages express their deepest wishes and darkest fears to the man in the red suit. Answering these letters has been a community tradition for decades. As Santa’s Chief Elf, Koch’s involvement answering these letters began in 1944 by helping her father “Santa Jim” and today she heads up the many volunteers that carry on this loving custom. 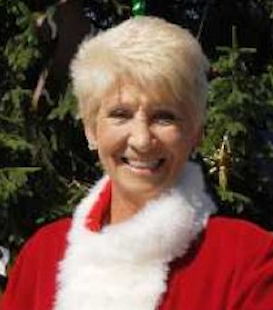 In 2006 she founded the Santa Claus Museum to preserve the history of the community of Santa Claus and the attractions that helped build “America’s Christmas Hometown”.